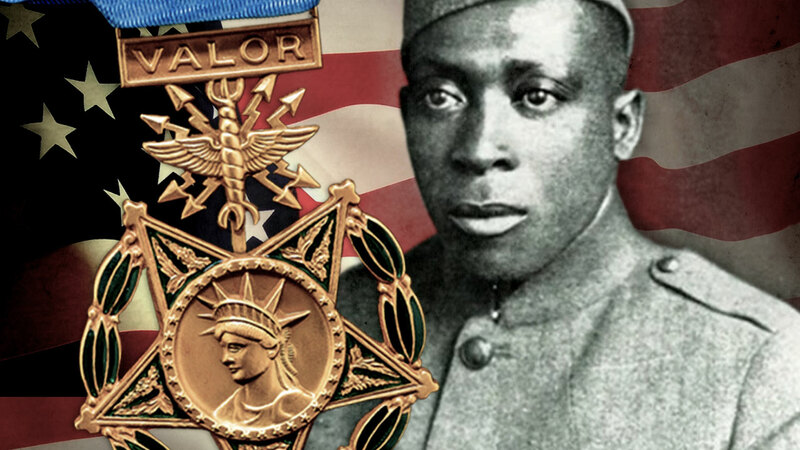 You might recognize the name Henry Johnson - from the street named for him, the monument for him in Albany, and the news in 2015 of him posthumously receiving the Medal of Honor in 2015. He was a porter at Albany Union Station. 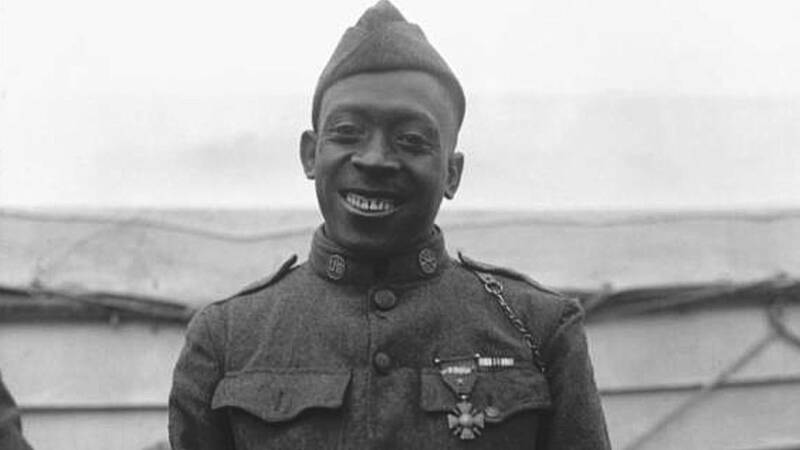 He enlisted in the Army young, at the age of 19, and enlisted in the New York National Guard (15th Regiment), which became the 369th Infantry Regiment, also known as the Harlem Hellfighters, when it was brought into Federal service for the war. He fought off a German raid in hand-to-hand combat, experiencing 21 wounds. His story was circulated widely across the U.S. He and Needham Roberts were featured in Stars and Stripes, newspapers in the South even covered their heroism. The story was pushed by the U.S. Army to combat (accurate) reports of mistreatment of black troops. He did not receive a Purple Heart, in part because the United States for a brief time was not awarding them so there was no way to get one. The Purple Heart wasn’t formally revived until 1932, but was to be awarded to all eligible soldiers wounded in service from April 5, 1917. He was the first American of any race to receive the French Croix de Guerre avec Palme, France’s highest award for valor. He and the rest of the regiment were recognized by a parade upon their return to New York City. He did a tour of speeches around the United States. Until his speech in St. Louis resulted in a mob and brought up black vs white issues on the battlefield. Johnson eventually died due to tuberculosis. He was destitute, separated from his wife, and an alcoholic. An effort to recognize Johnson’s actions in WWI was taken up. A street was named for him in Albany, NY, with a monument. He was posthumously presented with the Purple Heart in 1996, the Distinguished Service Cross in 2002 and the Medal of Honor in 2015. 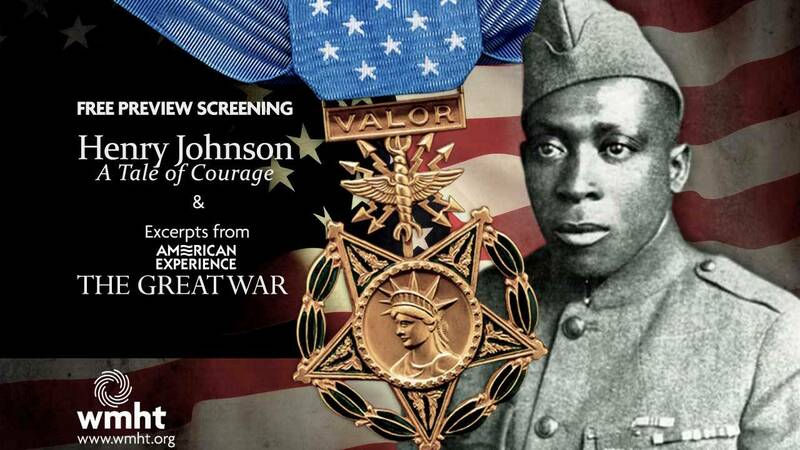 Join us for a free preview screening of Henry Johnson: A Tale of Courage on Tuesday, April 4, 2017 at 6pm. What do you think of Henry Johnson's story? Join the conversation on Facebook, Instagram and Twitter. And, by watching the local documentary online, including interviews with author Max Brooks and retired New York Command Sgt. Maj. Louis Wilson who was presented with the Medal of Honor by Barack Obama in honor of Johnson.